The National Academic Squad program recognizes those high school seniors and juniors who have achieved a minimum cumulative, unweighted GPA of 3.5 out of 4.0 or the equivalent through the first quarter of the 2015-16 school year. 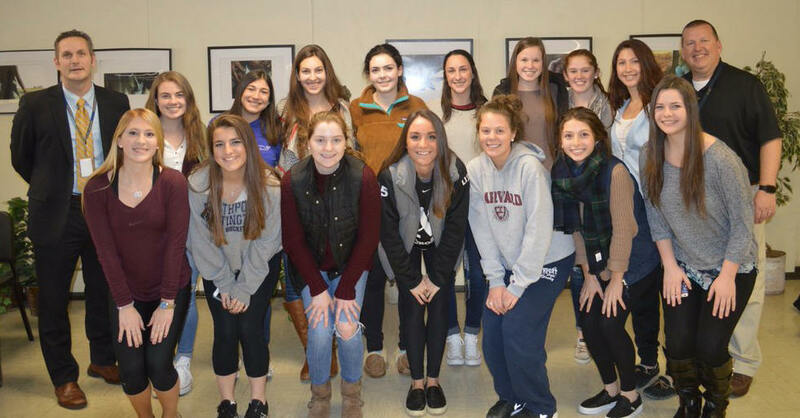 Seniors and juniors who have achieved a minimum cumulative, unweighted GPA of 3.9 out of 4.0 or the equivalent through the first quarter of the 2015-16 school year have been recognized as Scholars of Distinction. Congratulations to the following athletes for being named to the National High School Academic Squad and to Gabby Bica for being named a Scholar of Distinction.